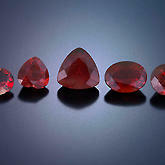 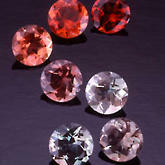 The art of cutting an Oregon sunstone gem with facets is a very precise activity. 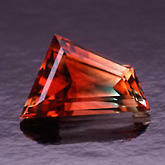 The aim with a faceted cut is to produce an article that sparkles with internally reflected light, and that shows off the "fire" of the stone. 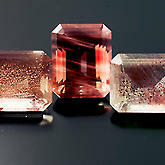 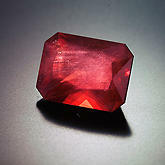 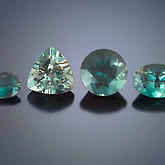 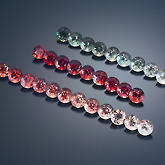 Accordingly, only transparent or translucent stones are usually faceted. 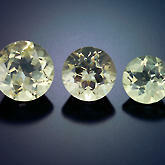 We offer the widest variety of faceted, all natural, colored sunstones in calibrated sizes and shapes available on the market today. 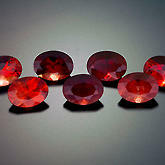 Their rich color and brilliance are captivating, and they have found their well-deserved place in the public's view of colored gemstones. 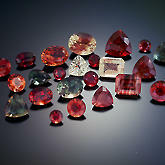 Only sunstones from our Ponderosa Mine occur in a spectacular array of colors - salmon, rich reds, blue greens, Amber gold, and peachy orange gems. 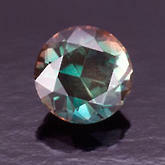 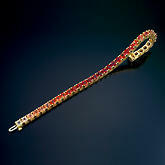 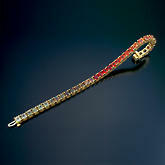 Occasionally this versatile gemstone occurs with two or more colors in the same crystal. 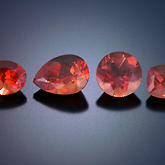 A pink and green stone is aptly named "watermelon" sunstone, and in extremely rare occurrences we might find a multiple color-change stone. 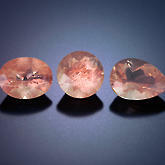 The most distinctive feature is the copper inclusions known as schiller - beautiful during the day and perhaps even more so at night.